I am really not a big Valentine's day person before I got married and have our kids. I am still not a big fan of fighting the traffic and getting in line just to have a romantic dinner. I would rather celebrate it a day before or a day after. I do not even like receiving a bunch of flowers! I know...what is wrong with me huh? I do find it sweet and thoughtful but it is just not me. I would rather have a homemade and creative craft, a coffee date, or even a bottle of wine! To be fancy, a spa certificate with my husband with a night in a hotel. I do enjoy making special treats or crafts for my family. I also do not mind sharing Valentine's day with our girls. There are just a lot of creative and fun ways to celebrate Valentine's day for them. Few years ago, I remember giving my husband a love-coupon book. We also enjoy making delicious treats! 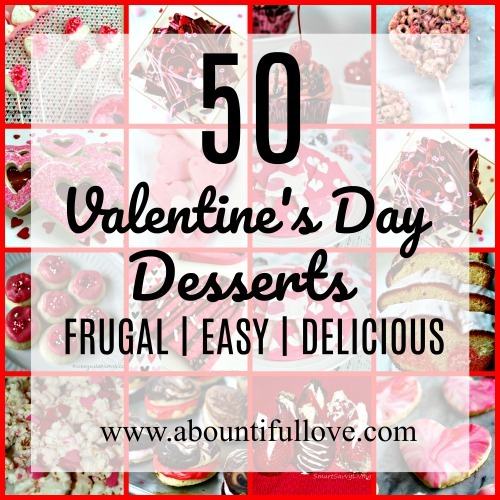 Here's a collection of frugal, easy and delicious Valentine's day desserts. 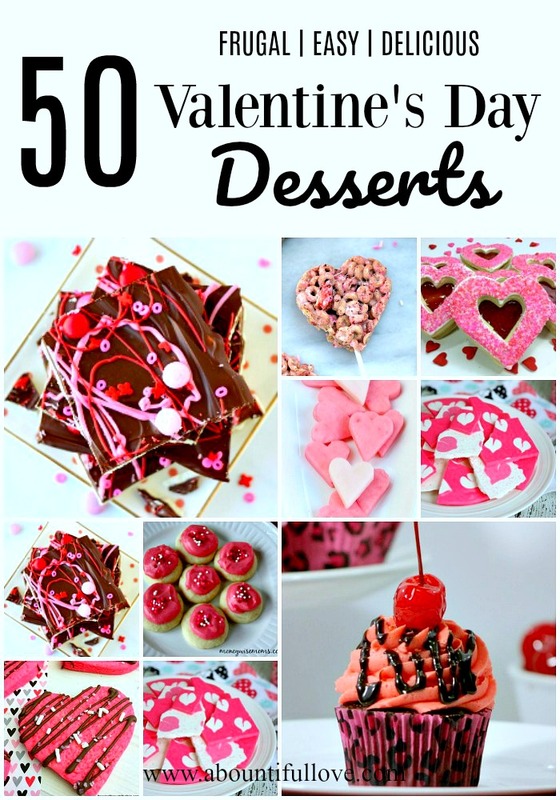 * The 50 Valentine's Day dessert recipes are in a link-part format so you can easily view and choose the recipes easily. If it doesn't load right away, you can click it to open a new window up.